New warehousing and distribution property development in Hong Kong has been virtually non-existent for much of the past decade. 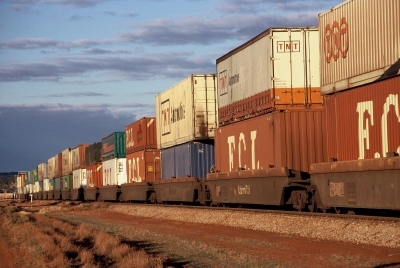 However, changes are afoot following the launch of two new Australian-developed projects, which are being marketed regionally and internationally to cater to growing logistics demand in the region. CB Richard Ellis and Colliers International are joint marketing and leasing consultants for the soon-to-be-constructed Seaview and Interlink facilities, which are being developed near port facilities by Goodman International. Seaview is a 1.3 million square foot, 25-level warehouse facility in Chai Wan Kok Street, Tsuen Wan. The larger, Interlink development will incorporate 2.4 million square feet of warehouse space over 25 levels at Tsing Yi Road, Tsing Yi. Steering the project leasing for CBRE is Andrew Hatherley, who was formerly based in CBRE’s Melbourne office and who is now an executive director of CBRE’s Greater China operation, based in Shanghai. Australian-based tenant interest will be managed through CBRE’s Melbourne-based senior logistics consultant, Stephen Parry. Mr Parry said the state-of-the art developments were an exciting initiative for Hong Kong, given the lack of new industrial development in the region over the past ten years. “Early mover tenants can take advantage of selecting contiguous floors, which will enable companies with product across multiple warehouses to consolidate their activities and reduce their workforces,” Mr Parry said. The facilities will be unlike anything available in Australia, given the multi-level design which offers 14 levels of drive-up access for vehicles with up to 40-foot containers on board. “A contemporary-designed warehouse in Australia may have a height of 11 metres to 12 metres. These facilities have an overall height exceeding some 120 metres,” Mr Parry said. Both projects are located on the doorstep of the Hong Kong Container Port, 20 kilometres from Hong Kong International Airport and 25 kilometres from the China Mainland Border. Seaview is due for completion in December 2010. It will offer 14-levels of warehouse space with ramp access and a further eights floors of warehousing with cargo lift access, as well as one office floor. Interlink will be completed in April 2011, offering 14 levels of space with ramp access, five levels with cargo lift access and an office floor.